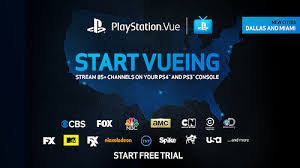 On November 11th Viacom channels MTV, Spike and Comedy Central will no longer be available on PlayStation Vue. While BBC America and NBA TV will join the service which added web support for Mac and PC. For $40 a month you get 60 channels and 100 channels for $75. VICE CBS and Fox are expected to join the service before the end of 2016.